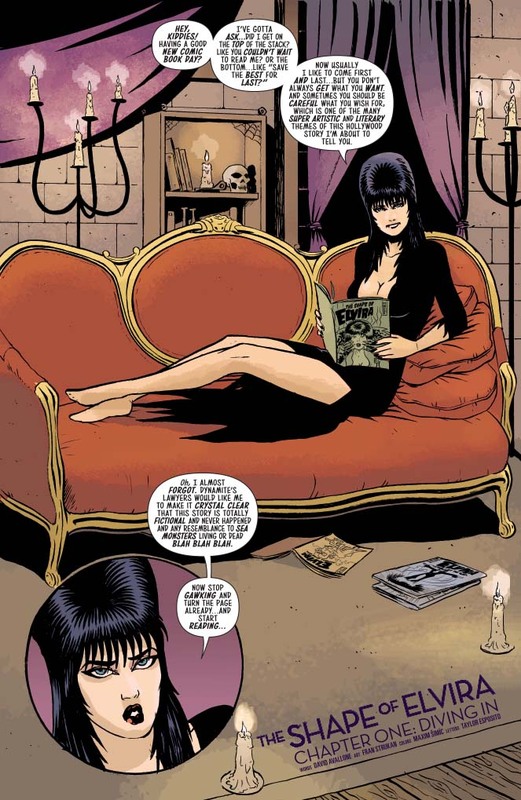 Elvira has been given the chance of a lifetime, the opportunity to stop making ultra low budget horror movies and work with the genius auteur film maker, Billy Bullworth. Given Bullworth’s reputation, anything could happen and it’s very possible that Elvira will find herself way out of her depth in his new sea monster movie. 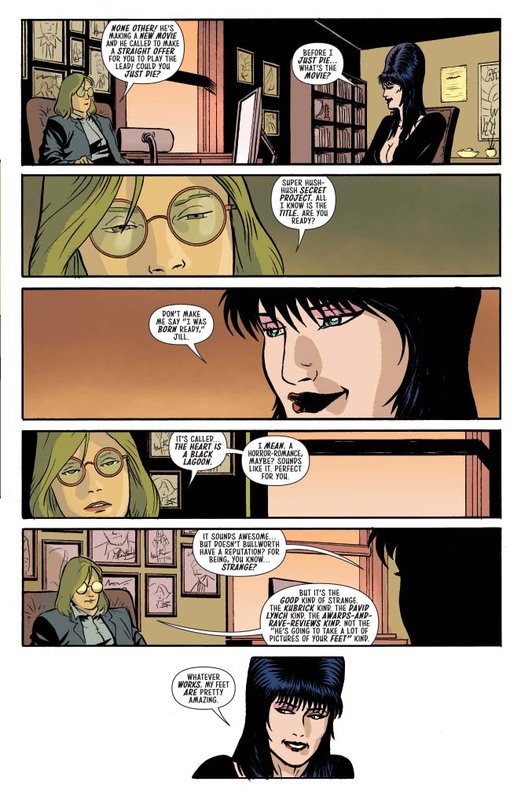 I’ve been a fan of Elvira for decades and I really enjoyed the last series that Dynamite released but I’m going to be honest from the outset and say that this new series isn’t really floating my boat. The basic premise is that Elvira will be working on a movie where the “creature” turns out to be the real deal. 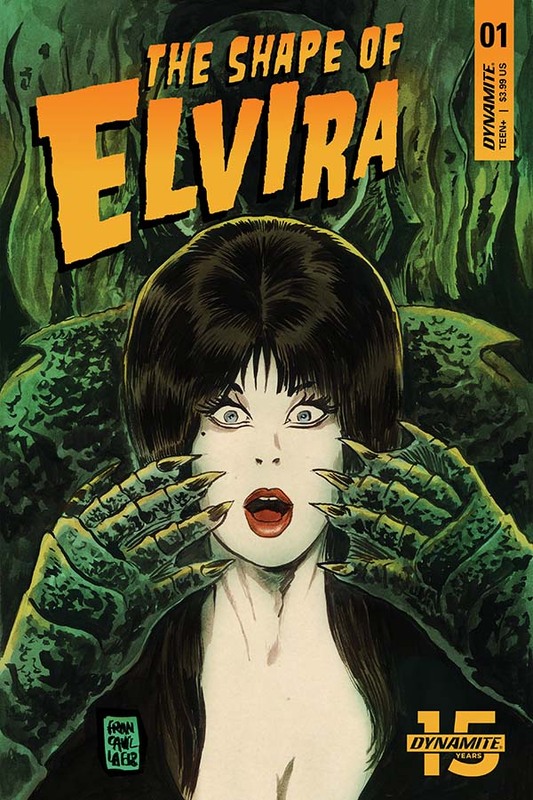 The title The Shape of Elvira, pretty much guarantees that if you weren’t already aware by the end of this first issue you’re going to be in no doubt that this is a fairly blatant rip off of The Shape Of Water. David Avallone isn’t a bad writer, in fact his previous outings for Dynamite have been really good, but I just found myself really underwhelmed with this issue. There was none of the charm we normally get with Elvira, and the traditional bawdy double entendres fell flat. 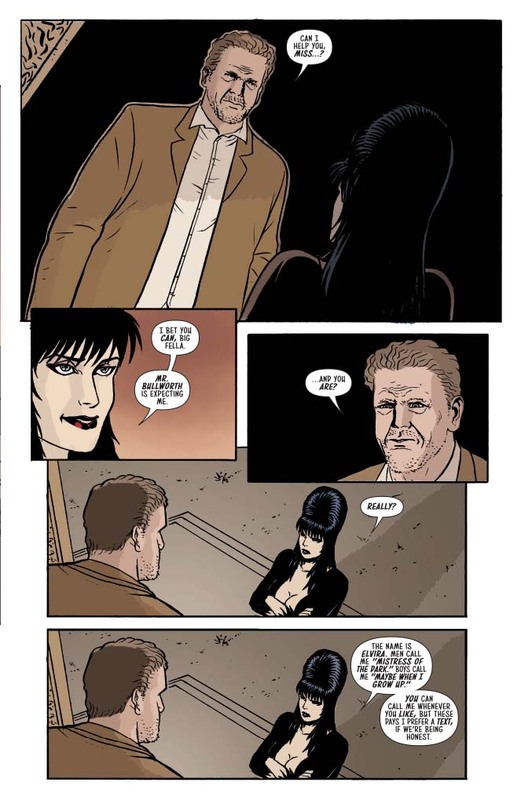 Avallone did a great job on the previous Elvira story with her travels through time to meet famous literary horror writers and their nightmares, but it feels a bit like he’s on autopilot throughout this first issue. 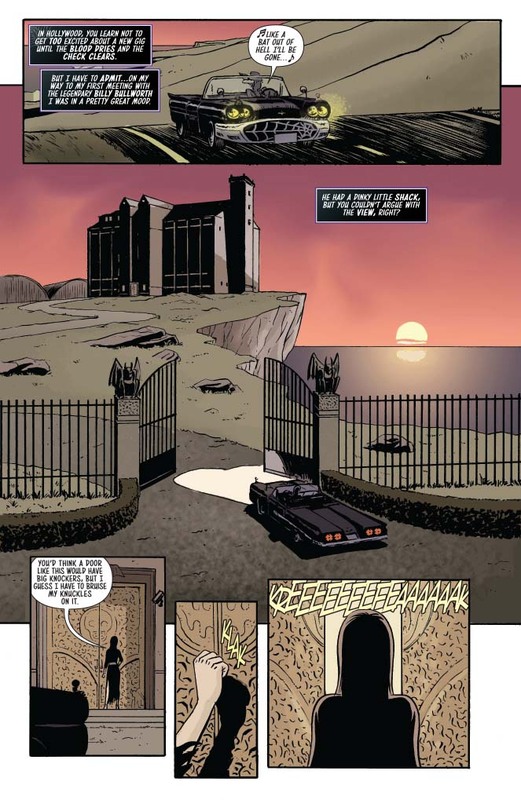 On the strength of Avallone’s previous work I’m going to be generous and say that, if you want to read this, I’d pick it up in Trade Paperback format as, for me, I think it would be better to hit the whole story at once rather than try to read it piecemeal. Frank Strukan’s artwork is a massive let down, and unlike Dave Acosta’s work on the last Elvira series, is, for me, bland and uninspiring. It’s quite tough to make a legendary bombshell and renowned temptress dull and boring but Strukan has achieved it almost effortlessly. I think the one saving grace for this series may be the cover art which is provided by the legendary Francesco Francavilla.